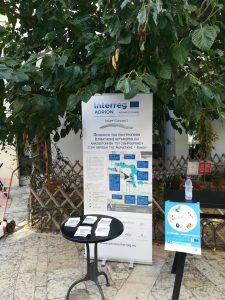 On 22d September 2018, the Municipality of Igoumenitsa held a local dissemination event of Inter-Connect during the European Mobility Week in the Pedestrian Road of Igoumenitsa. The purpose was to present the project objectives, the case studies and the first results to the wide public at a local level. One of the main takeaways of the discussion with the citizens, provided through a questionnaire that was given to the visitors of the stand, is that traffic problems in the city could be faced with more frequent public transport service, and a strong parking enforcement policy along with some structural changes (more cycling paths and pedestrian zones).